Find My Workspace lists over 95% of the business centres market in Derby. Simply click Request Quote to check pricing for one office, or Add to Basket for multiple offices. 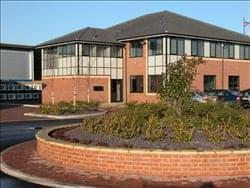 This office space is very close to Pride Park and provides ground floor units that are approximately 133 – 1,000 sq. ft. 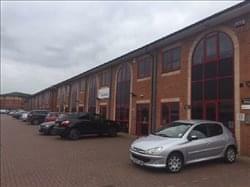 Offered on flexible licence terms tenants also have access to on-site meeting rooms while the spaces are air conditioned. There is generous on-site parking while services can be offered that include – Broadband, Furniture, Telephones. 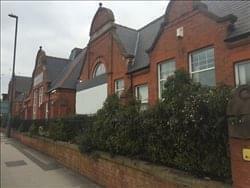 The property in located on London Road, which offers on street parking, alongside the large private car park to the rear. Local shops and eateries, including a short walk to Pride Parks offerings. Very well kept property, with professional occupants. Situated within 18 acres of rolling, picturesque countryside, this Derbyshire-based centre is housed within a magnificent building dating back to the 19th century. The centre has recently undergone extensive refurbishment, however it has maintained its impressive period features which contrast beautifully with the new, contemporary finish. The space is composed of 32 serviced offices, made up of a variety of sizes. Offices range from 54sqft up to 526sqft, meaning the centre presents an exciting proposition for all businesses, whether a start-up/freelancer or a more established company. The centre also offers 12-month flexible agreements, onsite parking, boardroom facilities equipped with AV equipment, WiFi, breakout space, kitchen facilities and a fantastic reception team.